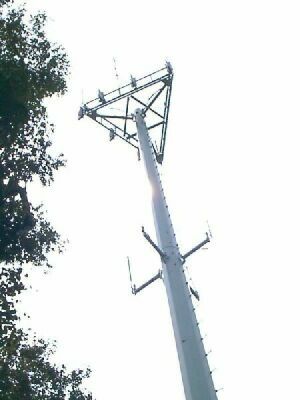 The K2GG Repeater is located on top of a cell tower in Roxbury, New Jersey, at a height of approximately 1,400 FT. The Repeater’s grid location is FN20PU.The frequency is 146.985(-600) with a PL of 131.8. Emergency Autopatch is available to several local Municipal Police Departments, and the New Jersey State Police. Autopatch is available to members.The K2GG Repeater is constructed of 100% commercial-grade components to provide reliable communications for our members and to support local public service in the event of an emergency.In May of 2004 we installed a SAME (Specific Area Message Encoding) Weather Radio. This system notifies amateur radio operators of severe weather warnings and alerts and other hazardous information 24 hours a day from the local National Weather Service office.NOAA Weather Radio is a nationwide network of radio stations broadcasting continuous weather information directly from a nearby National Weather Service office. NWR broadcasts National Weather Service warnings, watches, forecasts and other hazard information 24 hours a day.In June of 2004 we installed a DVR (Digital Voice Recorder) for personalized club related announcements. Future plans call for remote receive sites and telemetry of site conditions (temperature, battery voltage, etc) via APRS (Automatic Position Reporting System).